The Manawatu, Rangitikei and Horowhenua district councils collaborative roading maintenance contracts start today. As of this morning, the Higgins Green Team begin a joint contract with local district councils to deliver efficiencies and savings across the three networks. The contract team has established two further depots in the Rangitikei district in Marton and Taihape, adding to the main branches in Palmerston North, Levin, Kapiti, and Feilding. While the Horowhenua and Rangitikei contracts are new, Higgins has held the Manawatu District Council contract since 2010. Renewing this contract for 2015 is due to positive relationships and results on the network. The greater efficiencies, knowledge and resource sharing leads to considerable cost savings for councils without sacrificing quality. 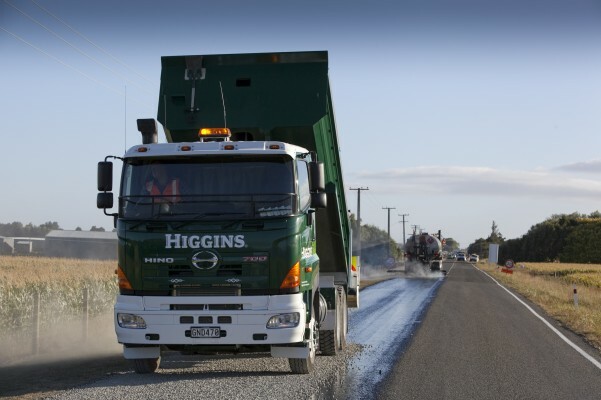 Higgins already employs hundreds of local staff in the lower North Island and have welcomed additional staff to the team with the start of these contracts. Higgins are committed to engaging with local businesses and subcontractors to ensure the best result. Higgins central region general manager Bryan Goldsack has promised Higgins strong family and community focus will be reflected in this new and innovative contract.